Running 5/19 – 5/25 Stop & Shop, Giant, and Martin all have Sweet Baby Rays Dipping Sauces, and BBQ Sauces on sale for $1.25 each! Whoa! 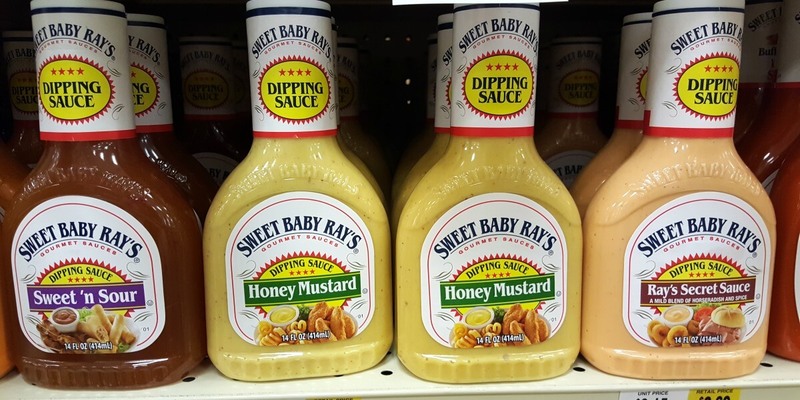 We have a $1/1 Sweet Baby Rays Dipping sauce, from this weekends 5/21 Smart Source insert available! After coupon pay just $0.25 each! 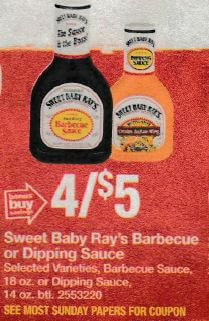 We also have a $1/2 Sweet Baby Ray’s BBQ Sauce coupon from the same 5/21 Smart Source insert available. We can pick up 2 of the BBQ Sauces for just $0.75 each! Awesome! as low as $0.75 each after coupon wyb 2!